Propaflex is a product created by Propagroup to protect in the best efficiently the vulnerable surface of steel. Its flexibility allows for perfectly adhering to rounded surfaces and, therefore, is also ideal for the protection of steel coil. 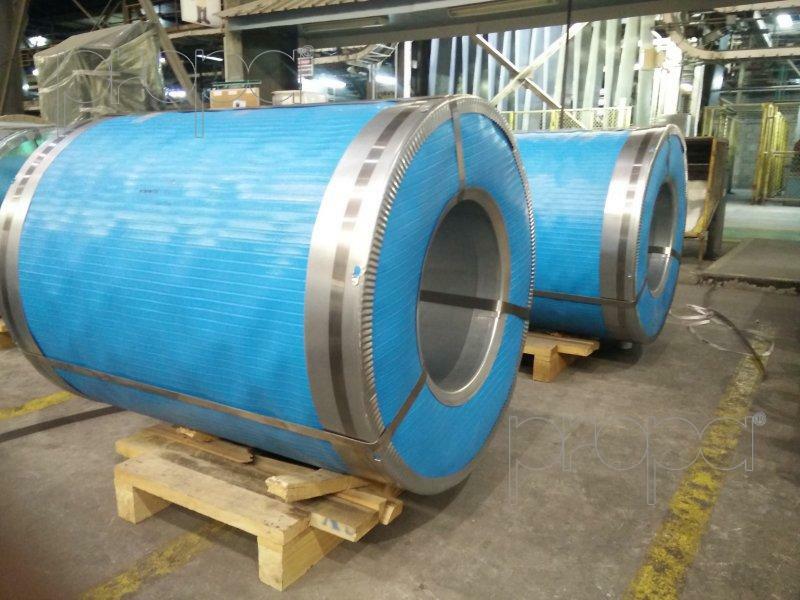 The main characteristics of Propaflex is that it has a smooth internal surface which adheres to the product that needs to be protected, and a corrugated external surface which softens possible impacts, compressions and chafing very well, protecting the steel in a very effective manner during transport and storage. Propaflex is also very good for the protection of formats on pallets, because it preserves the exposed surface from potential aggression. In this case, we advise its use combined with Propafix, a corner protector which easily adapts to the surfaces of packaging to preserve the side of the pallet from possible impacts. Whether you have a requirement to protect steel format coils or pallets, Propaflex guarantees you the best protection. Click here to know more about Propaflex.